Nintendo's beloved robotic hero is here to protect your money! 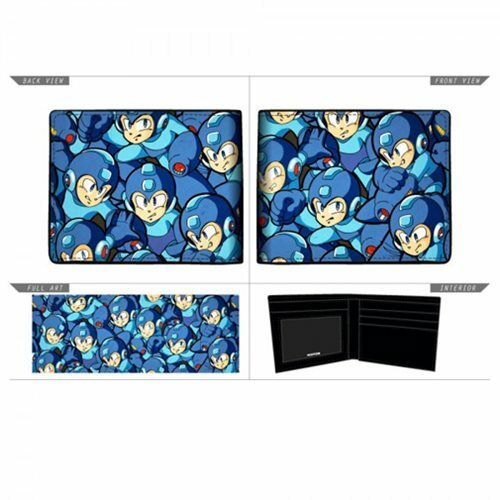 Level-up your wallet with this Mega Man Sublimated Bi-Fold Wallet. Made of PU and nylon, the wallet measures approximately 4 1/4-inches x 3 1/4-inches. Three horizontal card pockets. Two vertical card pockets. One transparent ID window. One full size currency department.